Late on a crisp fall night, a bike commuter’s worst nightmare comes true. 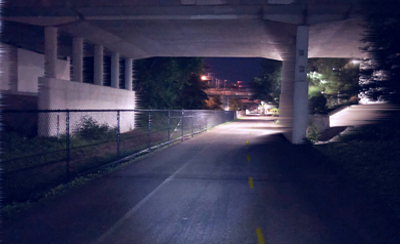 Eva is riding alone on the Greenway bike path - a dark trench lit only by her bike light - and something unfriendly starts following her. And it's catching up. And she can’t pedal any faster. And her light just died.